Pune is a city with a future that promises to be as interesting as its history. Long-standing bastion of the Maratha Empire and home to the legendary Raja Shivaji, Pune district is marked by magnificent land and forts that are a testimony to its glorious past. Pune was once the centre of the entire Maratha Empire, in which education, arts, crafts and theatre thrived. Known as the ‘Oxford of the East”, it houses one of India’s oldest universities and numerous colleges that attract both Indian and international students. The narrow winding roads of the old Pune offer an interesting contrast to the open and spacious new city. Pune is slowly becoming a cosmopolitan city and is already an important commercial centre. However, Pune retains the old-world charm and its many quaint characteristics, including the omnipresent cyclists, rickshaws and a daily siesta hour that is taken very seriously indeed. Aga Khan Palace: Aga Khan Palace was built in the year 1892, by Sultan Mohammad Shah Aga Khan III, who build it as an act of charity, to help the poor in the neighbouring areas of Pune, who were drastically hit by famine. 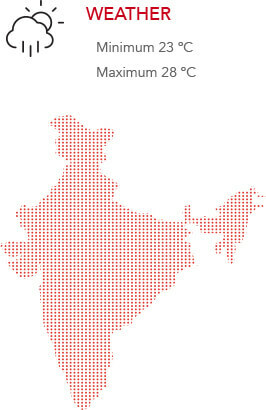 Today, it is considered to be one of the biggest landmarks in India. Kasturba Samadhi: Kasturba Samadhi is located within the serene locality of the Aga Khan Palace. It is widely known as Kasturba Gandhi Memorial, and is built in memory of Mahatma Gandhi's wife Kasturba Gandhi, who breathed her last there. 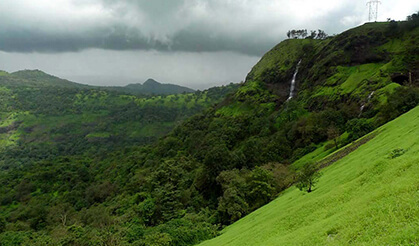 Khandala is an exotic hill station, ideal for trekking. 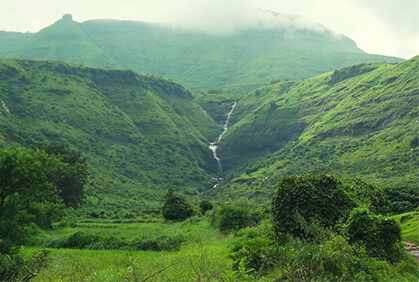 One can easily reach Khandala by road as it is quite near to Pune. 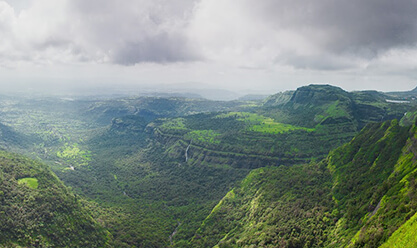 Located at a small distance from Pune, Lonavala is a beautiful place covered with lush green sceneries and is a popular holiday destination. 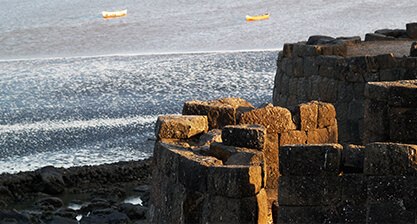 Alibaugh is a coastal town in the Indian state of Maharashtra and is the head quarter of the Raigad district. It offers much in terms of beauty and panoramic views and is famous for its beaches. Some of the well known and beautiful tourist destinations are Alibaugh Beach, Alibaugh Fort, Varsoli Beach, Akshi Beach, Nagaon Beach, Awas, Saswane, Rewas, Kaneshwar Mandir, Mandawa, Kashid Beach, Korlai Beach and many more. 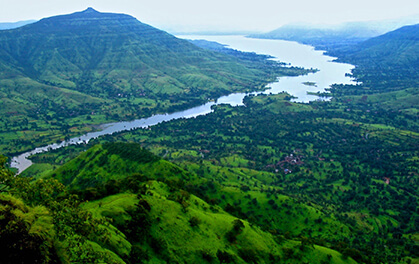 Mahabaleshwar is a hill station located on the Western Ghats of Maharashtra and is a popular holiday spot. It is famous for its exotic and breath-taking points, some of which are Arthur’s seat, Kate’s point, Monkey’s point, Needle Hole point and Wilson point etc. 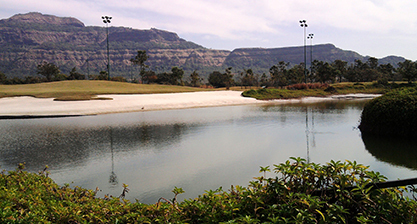 Panchgani is a small hill station in the Indian state of Maharashtra and is a popular vacation destination. 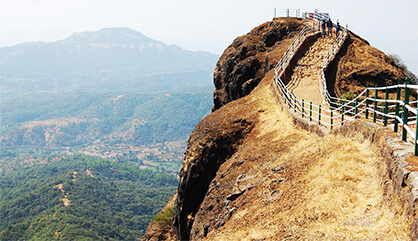 Situated near Mahabaleshwar, it is famous for its beautiful points. This beautiful hill station attracts many tourists all over the year. 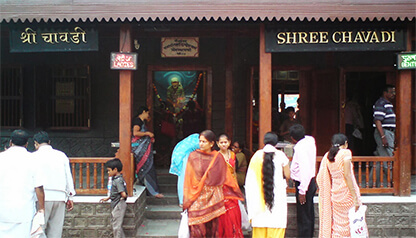 Some of the tourist attractions in Panchgani are Parsi Point, Sydney Point, Table Land, Devil’s Kitchen and many more.